CE-Thione helps to protect skin against free radicals, while minimising formation of dark spots for brighter skin tone. 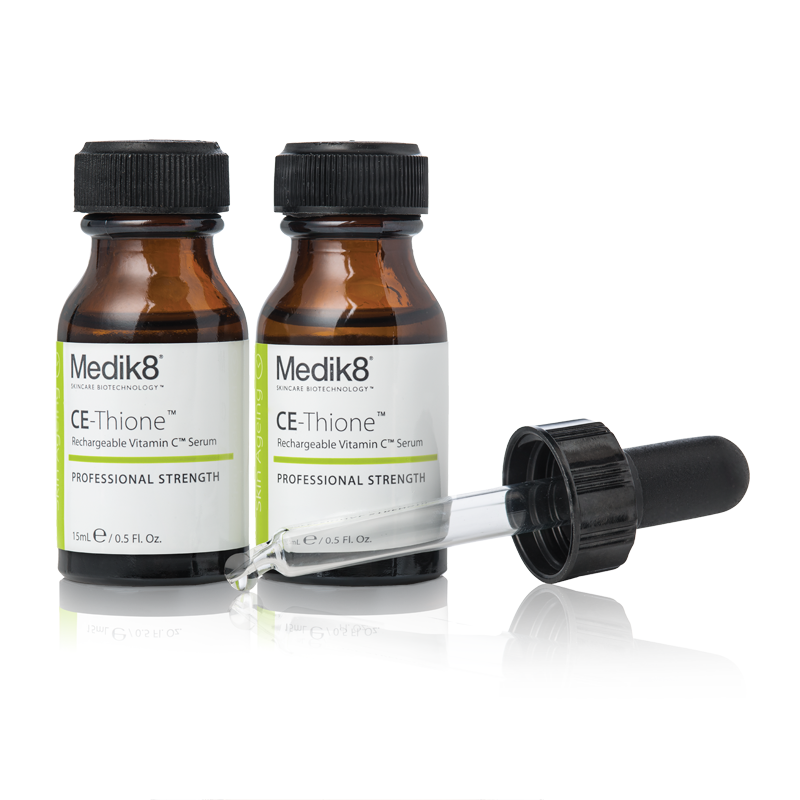 CE-Thione is presented in two bottles to maximise potency and each bottle is filled under nitrogen. After cleansing in the morning, apply 5 drops directly onto skin and blend evenly across whole face, neck and decolletage. Leave it to absorb before applying your regular hydrator.